The ‘valley of many cellars’ is a fertile land, that produces great red wines, well known and valued already 2000 years ago in roman times. Both Augustus, emperor of Rome in the 1st century a. d. as also Theodoric, king of the East Goths in the 5th century a. d. had to have the ancestor of the present day wines on their table. 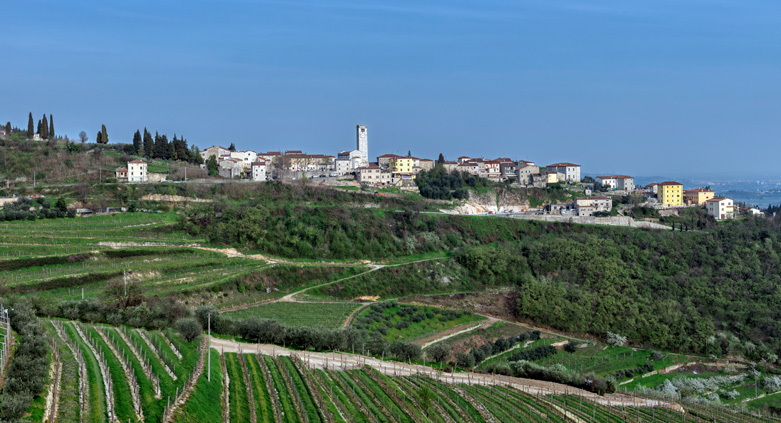 Valpolicella consists of three valleys, five villages and everywhere you look enticing views of vineyards, monuments, churches and villas. Discover this region close to Verona, get to know its history and traditions, learn the secrets of how to make a great wine. Do not miss the added value of the various rustic, medieval villages such as San Giorgio. 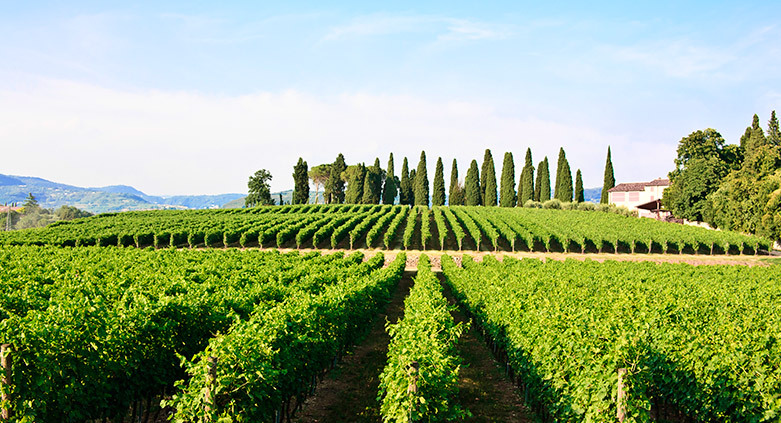 The tour in Valpolicella leads you to the hills and valleys in the western part of the province of Verona between the river Adige and the Lessinia plateau to see the simple yet elegant architecture of medieval churches and villages, where you can admire interesting examples of sculpture and art. The XIIth century Pieve – parish church – of San Floriano will be our first stop. After that we drive to the village of Sant’ Ambrogio famous for its quarries and the so called ‘rosso Verona’ limestone which is still extracted and is used in and on buildings throughout the world. A short meandering street leads us to the town of San Giorgio Ingannapoltron and the reward after the short walk to the main square is the view towards Lake Garda and the visit to the very old parish church. 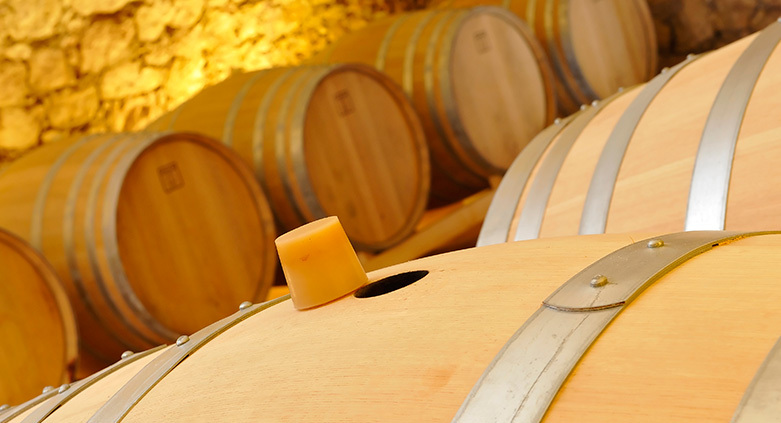 You will also visit a wine producer and tour the cellars where after years of refining in oak barrels and/or barriques the precious red wine is finally bottled. The interesting and at the same time very complicated way grapes are transformed into a beverage which does not only quench your thirst but is at your side in all important moments of your life will be explained. Various wines will be tasted. It can be Valpolicella, and Valpolicella Ripasso or Recioto without forgetting the most famous wine of all: Amarone and even with your eyes closed you will distinguish various aromas unfolding in the bouquet, ranging from sour cherry to cherry, from tobacco and almonds to wild berries and spices and much more. MEANS OF TRANSPORTATION: the bus or car of the clients is necessary for this tour (departure point to be decided with your guide). The first part of the tour is by bus, after about 20 minutes we take a break to visit a church then drive a further 20 minutes. A walk of about 10 minutes will bring us to the second church. After this we drive to the wine cellar chosen for the wine tasting. Some parts of our tour have uneven surfaces and there are few steps along the way. The church of S.Giorgio can only be reached with a 10 minute walk from the parking area. Wine tasting and contribution to the maintenance of a couple of churches. TO COMPLETE YOUR DAY: Villa in Arbizzano or Fumane (advance reservation necessary), Pojega's gardens (open only 1 day a week, advance reservation necessary). FOR WHOEVER HAS AN EXTRA DAY: Verona, Lake Garda, Soave, the Rice Road tour.